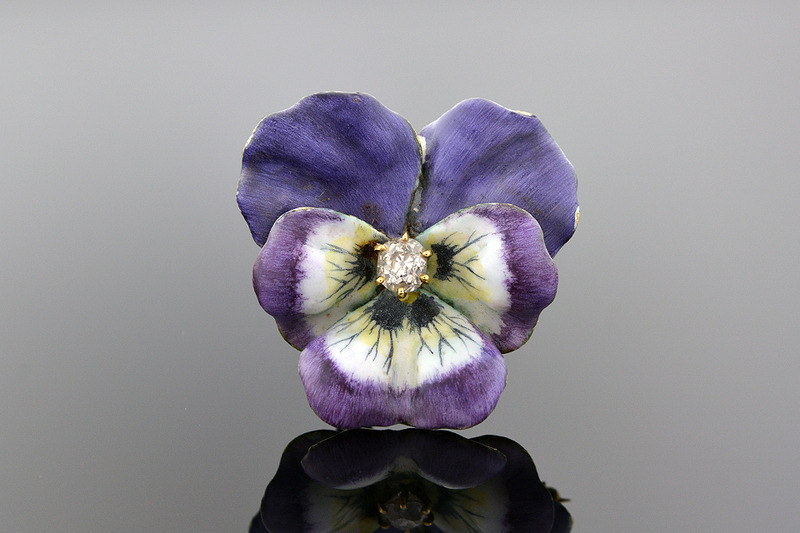 Purple and white enamel define the irregular petals that make a pansy unmistakable. An old mine cut diamond accents the center with a weight of approx. 0.35 ct.